Open Arts Foundation is pleased to invite you to the premiere presentation of the new bilingual website for Bulgarian contemporary art www.openartfiles.bg, part of the project "Open Art Files: Topics, People, Spaces, Files in Bulgarian Contemporary Art" that seeks to popularize Bulgarian contemporary art in Bulgaria and abroad. This is a new project of Open Arts Foundation, part of its long-standing educational platform "Introduction to Contemporary Art", it is supported by Plovdiv 2019 Foundation and is part of the official program of Plovdiv - European Capital of Culture 2019. The presentation will be held on 10 February 2019, at 2 pm at Sofia City Art Gallery, 1 Gen. Gurko Str., Sofia. Currently, on the site can be found over 100 profiles in the People panel, 23 spaces, 15 key articles, and a library of more than 1400 resources and in 2019 the site content will continue to increase. This year, within the project "Open Art Files: Topics, People, Spaces, Files in Bulgarian Contemporary Art" will be held an exhibition promoting the openartfiles.bg website, an educational panel and a program of working visits and lectures by international art professionals, which will be realized in Plovdiv. 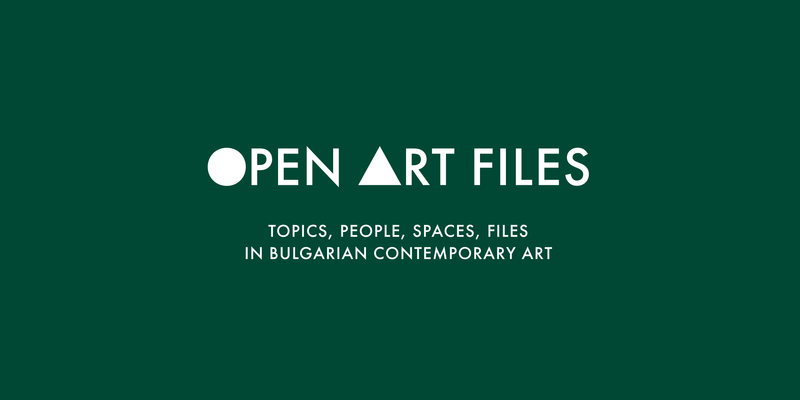 "Open Art Files: Topics, People, Spaces, Files in Bulgarian Contemporary Art" is a project of Open Arts Foundation and is part of the official program of Plovdiv - European Capital of Culture 2019, supported by Gaudenz B. Ruf Award.